A third of senior citizens in the U.S. say they never use the internet. That's according to a new survey from Pew Research Center that looks at how digitally connected adults over 65 are. Seniors make up 15% of the U.S. population, about 46 million people. But tech adoption rates have been increasing for that demographic. Some 42% say they own smartphones, compared to 18% in 2013. 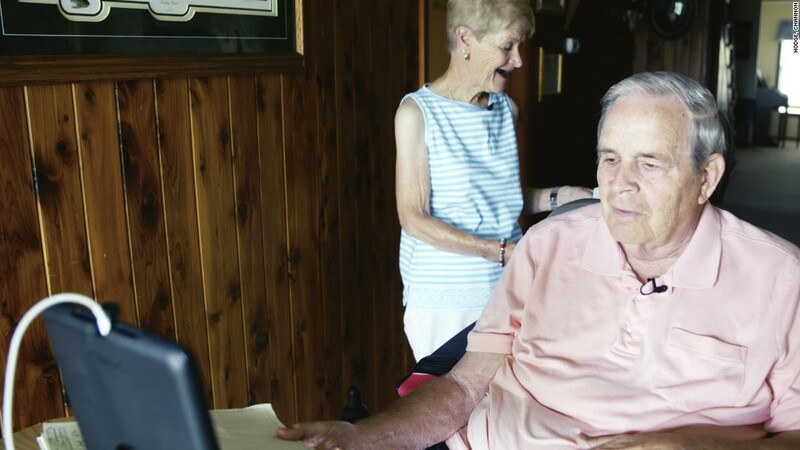 But Pew's report, which is based on several national surveys from last fall, found that roughly half of seniors don't have broadband internet at home. That falls well below high speed internet connections for other age groups: 81% of adults 31-49 and 75% of adults 50-64 have broadband access at home. According to Pew's findings, income plays a role in whether or not seniors have internet in the home. 87% of seniors who earn more than $75,000 a year said they have home broadband. Just 27% of those with income below $30,000 reported the same. A growing number of seniors live in poverty in the U.S., due to the rising costs of things like housing and healthcare, according to Justice in Aging. The advocacy organization projects that 72 million seniors will be living in poverty by 2030. Today, more than 25 million Americans over the age of 60 are economically insecure, according to the National Council on Aging. Income aside, things like education and age played a role in seniors' tech adoption. College graduates were more likely to adopt new technologies. And those between 65 and 69 (compared to 80+) were more likely to go online, have broadband at home, or own a smartphone. But, like the younger set, some seniors are no doubt getting addicted. Of the seniors who use the internet, one of ten said they go online "almost constantly."